The works on paper collection at the Carlos Museum contains over 4,000 prints, drawings, and photographs. The collection was begun in 1967 by the Art History Department, which continues to play an active role in the selection and donation of works to the Museum. At the same time, the Carlos has benefited from numerous donations from private collectors, many of them Emory alumni from across the United States, as well as from present and former Emory faculty and, finally, diverse friends of the Museum based in Atlanta and elsewhere. These donations - encompassing Renaissance and Baroque engravings and etchings, French and Italian drawings, nineteenth- and twentieth-century photography, American Regionalist prints, contemporary works, and still other areas-have enriched all the Museum's collections immeasurably. 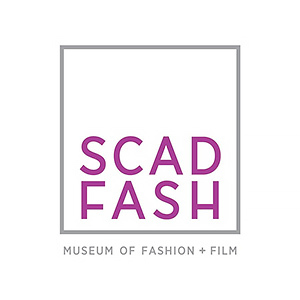 SCAD FASH Museum of Fashion + Film celebrates fashion as a universal language, garments as important conduits of identity, and film as an immersive and memorable medium. 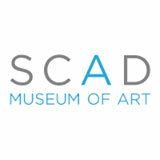 Situated within the SCAD Atlanta campus at 1600 Peachtree St. NW, SCAD FASH focuses on the future of fashion design, connecting conceptual to historical principles of dress - whether ceremonial, celebratory or casual - and welcomes visitors of all ages to engage with dynamic exhibitions, captivating films and educationally enriching events. Fortified by the university's strong global presence and worldwide connections to renowned contemporary fashion designers, filmmakers and creative professionals all over the world, SCAD FASH is an integral part of the SCAD educational experience. The Spelman College Museum of Fine Art, which is located on the historic Spelman College campus, was established in 1996 with major financial support from Drs. William and Camille Cosby through the Clara Elizabeth Jackson Carter Foundation. For more than 50 years the College’s permanent collection was distributed throughout the campus and displayed in various offices and dormitories. When campus-wide distribution of art was disbanded in 1996, the Museum became the nucleus of the College’s art collecting, preservation, and exhibition efforts. The Museum has distinguished itself for its unique mission and highly regarded exhibitions. While it is an academic resource, the Museum consistently expands art offerings in Atlanta and complements local, regional, national, and international resources. Decisive moments in photography are yours for up-close and personal viewing with the High's photography collection. It features more than 4,500 prints with notable examples of every photographic genre and process as well as many of the masters in the field, including George N. Barnard, Harry Callahan, Julia Margaret Cameron, Walker Evans, Emmet Gowin, Clarence John Laughlin, Sally Mann, Susan Meiselas, Richard Misrach, and Edward Weston. The High's particular strength is in American photography, with the nation's most comprehensive collection of civil rights-era photography, including works by Bob Adelman, Bruce Davidson, Leonard Freed, Danny Lyon, and Ernest C. Withers. Large-scale prints by prominent contemporary artists such as Vik Muniz, Taryn Simon, Thomas Struth, and Jeff Wall are also featured in the collection. 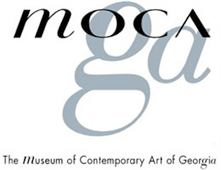 MOCA GA’s Education/Research Center is an archival facility dedicated to the preservation of Georgia's contemporary art history. The center is open to the public, providing a continuing source of historical information on Georgia art, artists and art organizations. In 2002 the Center was founded with initial funding from the Forward Arts Foundation. In 2007 it moved and expanded to 5000+ square feet. In 2014, the name was changed to the Education/Research Center, and the Center was expanded to 12,000 square feet. The Center contains over 150,000 historical items in its archives, 920 pieces in its permanent collection and 2,500 volumes in its art library. Approximately 350 students and 100 teachers tour the center each year, and experience a unique hands-on learning setting for MOCA GA’s internship and residency programs. Telfair Museums permanent collection of paintings, works on paper, photography, sculpture, and decorative arts contains over 4,500 objects from America, Europe, and Asia, dating primarily from the 18th-20th centuries.